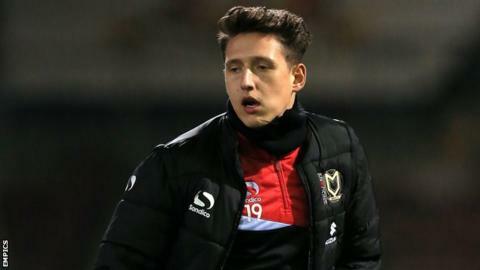 League Two side Stevenage have extended the loan spell of striker Tom Hitchcock from MK Dons for a further month. The 22-year-old has made six appearances for Teddy Sheringham's Boro since joining in August, scoring his only goal at Dagenham and making his first start last week versus Plymouth. He will now stay at the Lamex Stadium up to and including 11 October, when they face Exeter City. Stevenage play York City at home on Saturday.